It's been a while since Soma announced any new lugged frames. Well the wait is over at last. 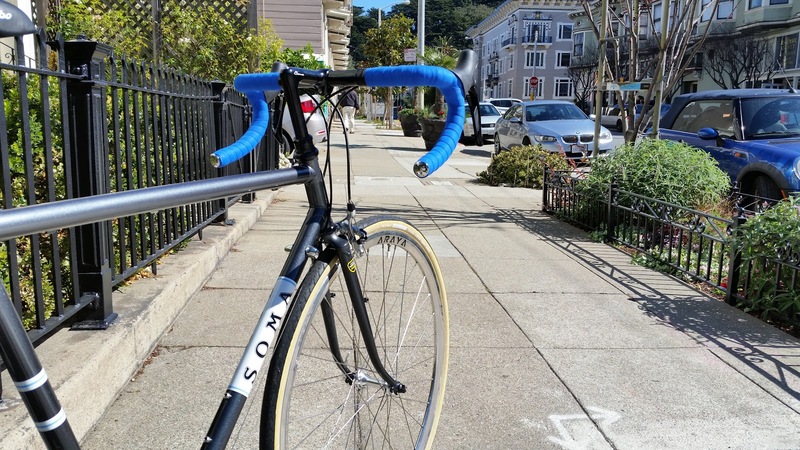 For 2017 Soma will be producing a limited number of totally redesigned Stanyan lugged road/audax framesets in black and white color schemes. 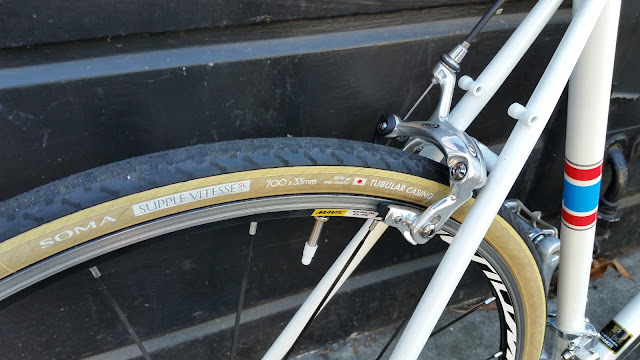 So there are a couple of changes since the last time, most notably the steerer tube is 1" threaded. 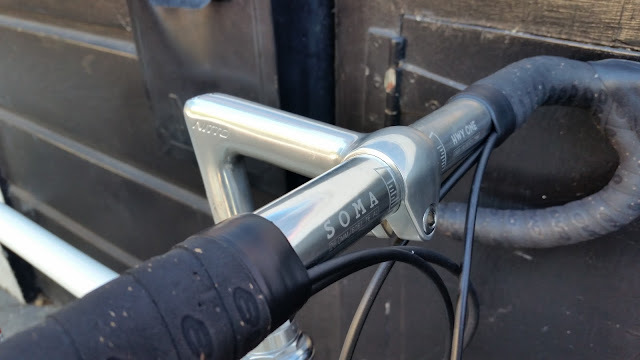 That means the lugs are a teensy bit lighter and you can use the Soma Sutro quill stem (or one of the hundreds of Nitto options). Another new feature is the rear dropouts. We went for a medium length semi horizontal dropout with adjustment screw. We chose this for two reasons. A. because it allows you to adjust the wheel position a smidgen, which can be useful when trying to squeeze the biggest tires into 57mm brakes with optimal fender clearance. And B. because we're not bringing back the Van Ness and we know there are a lot of folks who want to use single speed or internally geared drive trains. The forks now have a little fancier blades than before. We kept the mini rack mounts from the last generation to allow you to mount small handlebar bags, as well as light mounts or long fenders up front. We didn't do anything to the geometry, so if you're worried that we frenched up the handling, chill, we didn't. That's not to say you shouldn't use a handlebar bag, just don't go full Manny and try to carry a lawn chair or something and it should be ok. If you've never ridden the Stanyan before, just imagine the ES with slightly livelier tubing. If you normally ride road bikes it will feel pretty familiar. 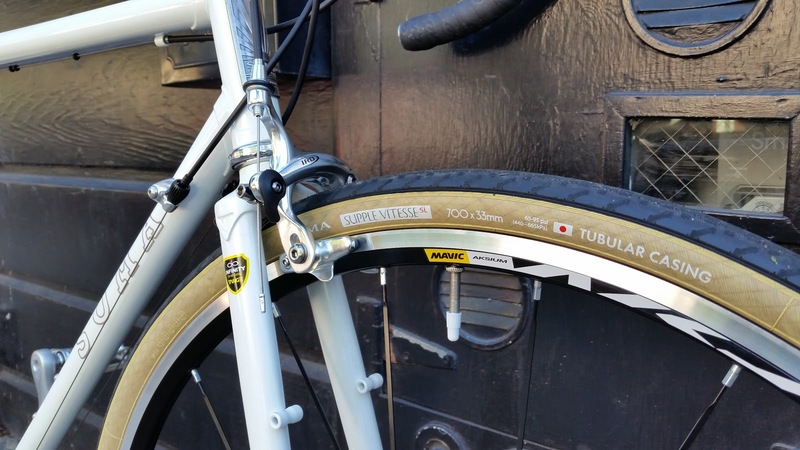 If you prefer wider tires it will probably feel a bit more nimble than your touring or CX bike. They do have rear rack mounts, but we don't really intend to load them down too much. If you really need to do some cargo hauling somthing like the Nitto 27r with low set panniers will work well, otherwise somthing minimal like the Soma Champs Elysees will work better. Just like the original Stanyan these have fender eyelets on the brake and chainstay bridges. 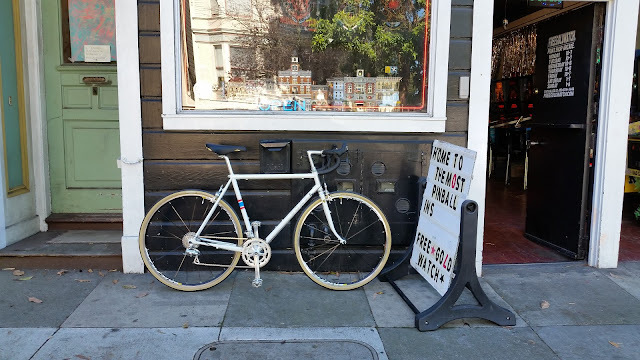 If you are in the bay area and fancy taking a spin on either bike be sure to stop by American Cyclery's Halloween Basement Crypt sale before somebody snatches them up. If you were hoping for Fogcutter info, don't worry, you should be getting good news very soon. We're in the business of making frames, so it's not surprising that we focus a lot of attention on creating new things. But that doesn't mean that we don't appreciate well made bikes from the past too. Pedal Revolution in San Francisco refurbishes donated bikes as part of their mission to provides skills and opportunities for young people in the the community. While these bikes appear far more humble than most of what you'll seen on bike blogs and tradeshow floors, they offer a rare chance to improve and restore a bike that has proven it's self worthy of a second life on the streets of the city. Built in Canada from Japanese Ishiwata steel, this bicycle represents another era of mountain bike design, perhaps closer to today's trekking and adventure touring models. 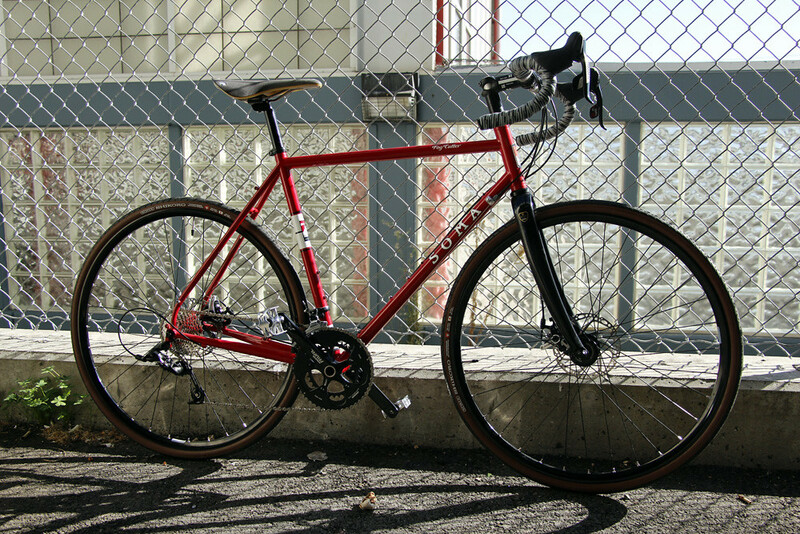 The frame is lugged chromoly, while the fork is a TIG welded unicrown design. Both sets of dropouts feature rack and fender mounting eyelets, and the Shimano Deore V-Brakes we've installed offer plenty of clearance for the Soma New Xpress 26 x 1.75" tires. Another significant modification was replacing both the bars and the quill stem. This frame is much longer than it is tall, and would be difficult to fit with the original steel riser bars. We chose the locally designed Sycip Wonder Bars for their generous back sweep and their reasonable price. Paired with a Soma Fab Sutro quill stem we've elevated the cockpit to a more upright, commuter friendly position. These bars should play nicely with a front basket or cargo rack since they'll offer a fair bit 'o leverage. The original rear derailleur was not badly worn, but had been neglected and was covered in years of grime. A full disassembly, cleaning and lubrication brought it back to life and kept the Peugeot's retro aesthetic intact. 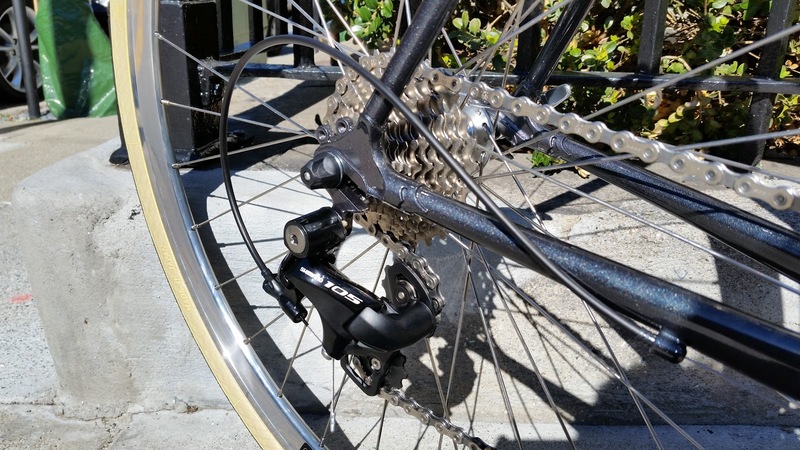 The wide range Sakae square taper triple cranks won't turn any collectors heads, but look fantastic and offer a much better range of gears for tackling the bay area's many climbs. As with the rear derailleur these too required a considerable amount of cleaning to restore their classic looks. If you've got a classic ride that you've been dreaming about bringing back to life, or if you've got one bike too many and you want to donate it to support Pedal Rev's Youth Internship program you can call or email The Shop or better yet, stop by and say what's up. Up next, we'll be rebuilding this New Albion Homebrew frame with a custom blend of components from the Pedal Rev collection. Stay tuned for more on that.